* We are clearing out our current Mum & Babe and Pamper Boxes as some of the items have been discontinued. We will be introducing a new gift box shortly though are discounting current stock until sold out. suitable for expectant mothers, and mother and baby bonding baths. Made with Nina Bailey's Relax blend of pure essential oils Rose Geranium, Lavender, Cold Pressed Orange, Chamomile & Sandalwood in a beautiful balm of Organic Bees wax, Organic Coconut Oil, Jojoba & Natural Vitamin E.
Excellent moisture wicking properties, 3x more absorbent than cotton means skin is left feeling drier, faster. Our bespoke gift boxes are only available with the purchase of one of our floral arrangements. Simply place one of our beautiful blooms in your cart, and you will be redirected to our Little Extras page.  Here you will find all of Floral States additional products; Gift Boxes, Wine and Greeting Cards.